On the west coast of the island of Hisingen stands the harbour of Björlanda. There, stay hundreds of various sailing boats in the water, out of the water, just staying in the air. It is just amazing. 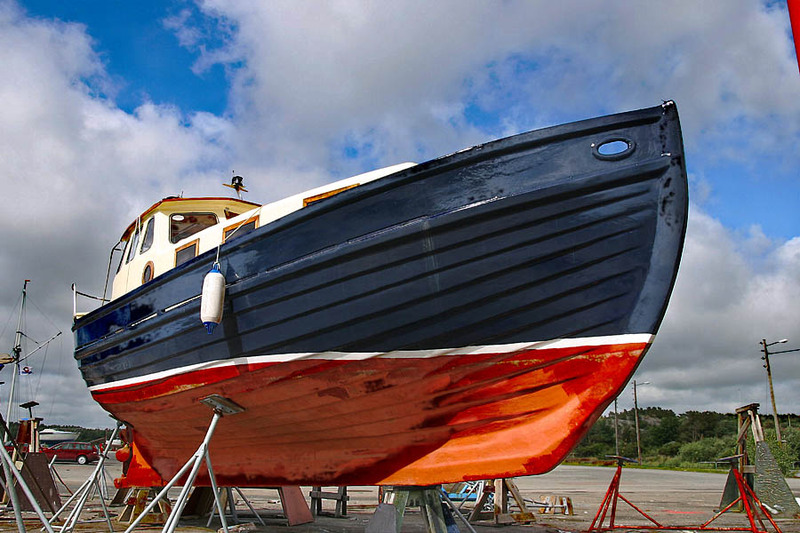 This boat, I guess, was waiting for a bit more paint before going back to the sea.